AS OF AUGUST 22ND 2011, REALRYDER CYCLING STUDIO IS CLOSED. If you want ripped arms, visit your neighborhood bootcamp. If you want a toned midsection, attend some pilates classes. If you want strong legs, go run some stairs. Having said that, if you want ALL of this, PLUS a heart-pumping cardio workout, then you need to try RealRyder immediately! 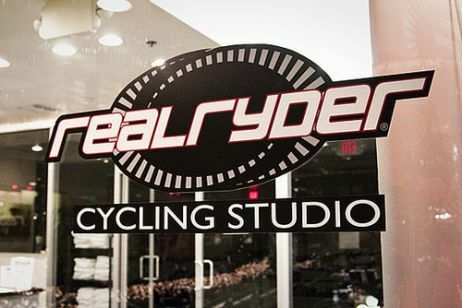 Real Ryder, whose flagship studio is located in Brentwood, is the future of indoor cycling. That’s right - one of the most comprehensive, dynamic, and FUN workouts in the world can be found right here in Los Angeles. The key to the RealRyder experience is their patented RealRyder Indoor Cycle that banks from side-to-side in order to provide a true-to-the-road experience. Seasoned spinners and cyclists will appreciate the authentic experience that RealRyder provides, and beginners (like us!) will be blown away by how much fun it is to tilt your way to greater strength and endurance. 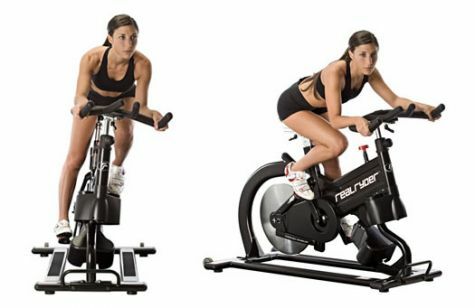 Oh…and did we mention that “RealRyders” burn up to 20% more calories per spinning session? The studio is currently offering some amazing specials and boasts an impressive line-up of energetic and dedicated instructors. 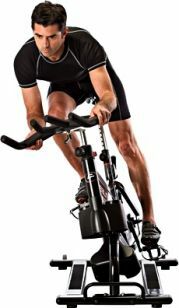 Your first class is free…so head on over to www.realrydercyclingstudio.com to sign up! 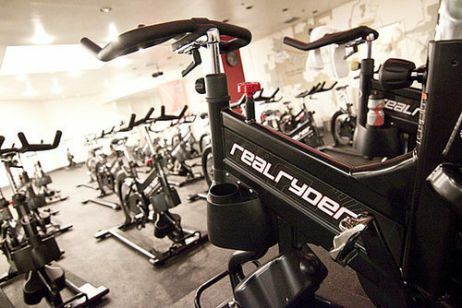 Simply put…spinning at RealRyder is truly like nothing else out there. On my first day, I didn’t realize just how different the experience would actually be! At first glance, the bike looks pretty similar to others..it was just obviously brand new and looked sleeker and snazzier. Erin, our instructor, was so helpful in getting us newbies all set up with our bikes properly adjusted and gave us a few quick tips on what to expect from the ride. Once we started in, and I took my first lean to the right…I knew I was hooked. It felt less like a spin class and more like a Saturday ride up PCH…except, so much MORE FUN! Besides the fact that I had to really activate my core to keep the bike from wobbling beneath me and use all the arm strength I could muster to keep it tilted in the right direction, I was giddy with excitement…feeling like I’d just been thrown into the middle of an arcade game. AND…burning 20% more calories than stationary cycling? I’ll take it! It doesn’t matter if you spin regularly or never…I promise you…there is no way you won’t find enjoyment in this workout. I literally can’t stop raving about RealRyder. The “ryde” is challenging and unexpected, the teachers are so enthusiastic and helpful, and the studio environment is clean and inviting. First class is free…sign up online or pop in if there’s space. You won’t regret it! I have always enjoyed indoor cycling, but RealRyder takes the experience to a whole new level of fun! It’s no secret that I love to workout, but my favorite combination is an intense calorie burn along with a huge smile on my face! RealRyder will keep you guessing from beginning to end, but will also make you feel like a kid in an arcade on the motorcycle ride. RealRyder created a bike that will move with you from side-to-side. I was dripping sweat after about 10 minutes and very sore the next two days. RealRyder is all about engaging your core in order to keep your bike from swaying out of control, it’s a lot harder than it looks. If you are a fan indoor cycling you have to give this a try, and don’t forget, your first class is free! RealRyder is definitely the real deal! It’s truly one of the most unique workouts out there. If you haven’t tried it out, you’re missing out. Go grab your free first class…it’ll change the way you think about indoor cycling!